- must successfully complete the compulsory training in the Justice Academy of the Ministry of Justice. - person who has taken legal action on the application of compulsory medical measures. * Persons who used to work as lawyer (except for persons activity of which was suspended due to disciplinary proceedings) or judges may be advocates upon oral interview without passage of written test and undergoing compulsory training courses. 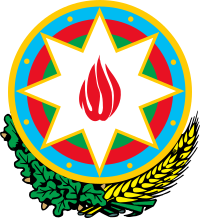 * Persons having scientific degree as well as persons who used to work in the position of judges of the Constitutional Court of the Republic of Azerbaijan, chairmen of courts of appeal and cassation instances may become lawyer without passage of written test and undergoing compulsory training courses. Application form to participate in written text exam (form). 1. Legislative acts that particularly must be taken into account: The Constitution of the Republic of Azerbaijan, Civil Code, Civil Procedure Code, Criminal Code, Criminal Procedure Code, Administrative Offences Code, Administrative Procedural Offences Code, Family Code, Labour Code, Execution of Punishments Code, Law on “Lawyers and Lawyers activities”, Law on “Constitutional Court”, Law on “Courts and Judges”. 2. Other legislative acts that have to be considered: Code on Dwelling, Urban Planning and Construction Code, Tax Code, Election Code, Land Code, Constitutional Law on Human Rights Commissioner (Ombudsman), The Constitution of Nakhchivan Autonomous Republic, European Convention on Human Rights, Law on “Execution”, Law on notary, law on “State Forensic Examination”, Law on “Combating Corruption”, Law on “Withdrawal of Land for State Needs", Law on “Judicial-Legal Council", Law on “Prosecution", Law on “Police", Law on “Operative - Search Activity ", Law on “Payment of damages caused to individuals as a result of illegal actions of investigation, preliminary investigation, prosecution and judicial bodies” and Law on “Administrative Proceeding". 1. According to Article 143 of the Criminal Code ("leaving in danger"), wittingly leaving of a person whose life or health is in danger without help and deprived opportunities to arrange the self-protection, if guilty had an opportunity to assist this person is subject to criminal prosecution under certain conditions. Which of the following does not apply to the same conditions? 2. When does the legal capacity of a legal entity create? 3. Who cannot be subjected to administrative sanctions in form of public works? 4. According to the Constitution of the Republic of Azerbaijan, after the adoption of the draft law that is declared to be matter of urgency which period shall be submitted to the President of the Republic of Azerbaijan for signing off?